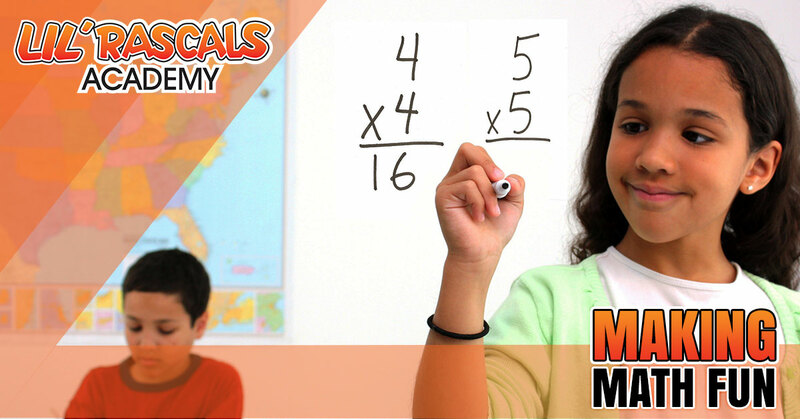 Math can be one of those subjects that kids love or simply don’t want to touch. However, it’s a subject that needs to be tackled one way or another. It’s also beneficial to start your children off soon so that they can become familiar with numbers and shapes and how they work. But because math can be such a challenging subject, how do you start in a way that won’t be frustrating? 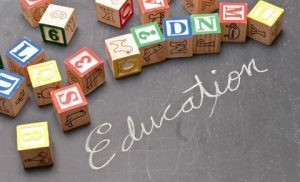 At ‘Lil Rascals Academy, our daycare staff love teaching and educating our students. Here are some ways we use math every day at our facility. Numbers are everywhere, you just have to take some time to recognize them. One way in which children can become more familiar with numbers is through counting. While they’re eating breakfast, have them count the number of Cheerios in a pile. Ask them to count how many carrots they ate at lunch. Or keep a calendar close by and put something on the calendar they can look forward to. Have them count the number of days until that event. Other methods of becoming familiar with numbers are with blocks, dice, or board games with spaces. Math is starting to sound like fun! Geometry is a subject that can be especially challenging, but from the viewpoint of a student at our daycare, it’s just shapes! For some geometry and shapes practice at home, bust out the cookie cutters! 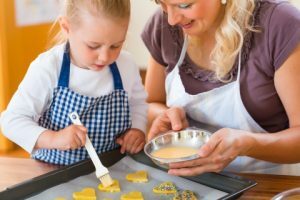 Not only does this practice end with cookies, your child is also learning! Use cookie cutters that are in the shape of a circle, square, or star, and ask them what shape it is. Then, they can create other shapes by putting the cookie cutters together. Just like numbers, there are also a variety of signs everywhere! When you’re on a walk you see street signs, in the grocery store you may see sale signs. By looking for signs and asking your child questions about them, they can begin to understand math. How many sides does the sign have? What are the numbers on the sign? Going to the grocery store can be an adventure. Understanding math lingo can sometimes be half the battle with daycare students. They may know what the numbers are, but what does “equal” mean? What does adding and subtracting mean? This may sound like it could turn into a not-so-fun game for a five-year-old. But when you use the right objects, it can be fun and rewarding! Use piles of M&Ms, chocolate chips, or raisins and ask them which pile has more in it, what’s the “difference” between the two piles? What’s the total number? The kitchen is full of math problems waiting to happen. And cooking with your child is a great way to make math fun — and tasty! Count the number of cups of flour that go into your loaf of bread, ask them how many quarters are in a cup and then count with quarters. When practicing math with daycare age kids, it’s important to keep it fun and to start slowly. If you’re playing with blocks one day and notice that your child is getting antsy, don’t worry about putting the blocks and math problems away for the next day. There are daily opportunities to work in math problems when you know where to look. If you’re looking for a quality, caring, and nurturing daycare provider for your child or children, get in touch with ‘Lil Rascals Academy today. We can’t wait to help your child love, or at least tolerate, math.